Pocket PC to Mobile Bulk SMS Software easily broadcast large volume of text messages such as personalized sms, job alert notification, contacting employees, business greeting etc. to multiple users GSM/CDMA or any latest technology supported mobile phones without requiring any internet connection. 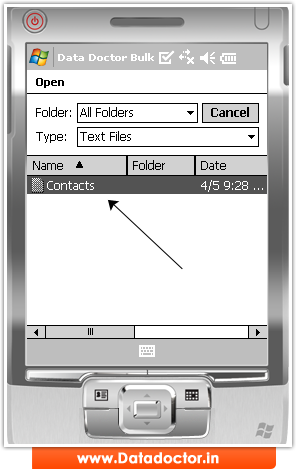 Portable text messaging utility runs on Windows based operating system and does not require any external connected device to send the message. Bulk messaging software send text messages to single or mass people only after just entering the mobile number manually. Bulk sms marketing tool is used by many business enterprises, telecom sector for sending news related to Business, Jobs and Vacancies, Product Campaign, Greetings, Invitations and other common sectors. » Easy delivery of bulk sms from your Windows based Pocket PC devices phone to any other phone directly. » Unlimited numbers of messages to any number globally. » Application tool can send SMS to individuals or list of phone numbers. » Software utility can import phone number list from computer text file or phone memory. » Software is used to send text message globally (National or International).